Premier League, once known as the Barclay’s Premier League underwent a mega revamping of the brand and its sponsorship. The Director of PL stated that this was one of the main opportunities for them to re-brand themselves completely and as a whole from scratch. The Premier League started in 1992 with no one to sponsor them for the first season, thereafter having Carling (’93 – ‘01) and Barclaycard and Barclay’s (’O1 – ‘ 16) sponsor them until the 16-17 season. As of now, the Premier League has 13 partners across all platforms with its lead sponsor being EA Sports. 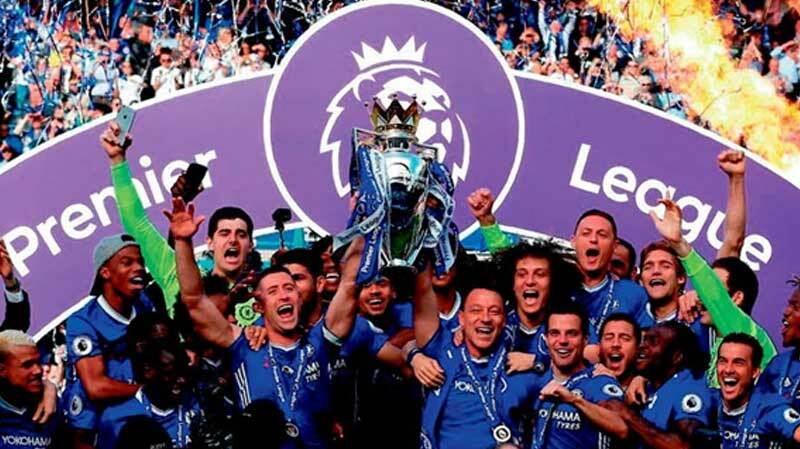 The Premier League derived its inspiration from the NBA format of ‘clean brand’ strategy. They wanted to keep it clean and simple which would help them to reach out to a larger global audience. The new approach will see more secondary partnerships but allow the competition to be known as ‘The Premier League’, a major statement in this sponsorship-driven age. Another reason as to why they would drop off the title sponsorship is due to whopping deals done through the TV rights. For the 2016-17 season, the Premier League made £1.49 billion. Due to the fact of not having any title sponsorship, the PL has boosted the likes of more shirt and sleeve sponsorships. This year it is predicted that the all clubs in total are generating a profit of 55 million overall tallying up to 281.8 million which is double of the record set in ’10 – ’11 (100.45 million) of shirt sales globally. Due to such a massive amount of revenue from merit money, facility fees, shares in domestic and international TV rights and central commercialization. Now, like the Olympic does, the PL has this chance to diversify instead of having sponsors for individual categories.